BUDDY, the emotional robot, wins a Blue Ocean Award. 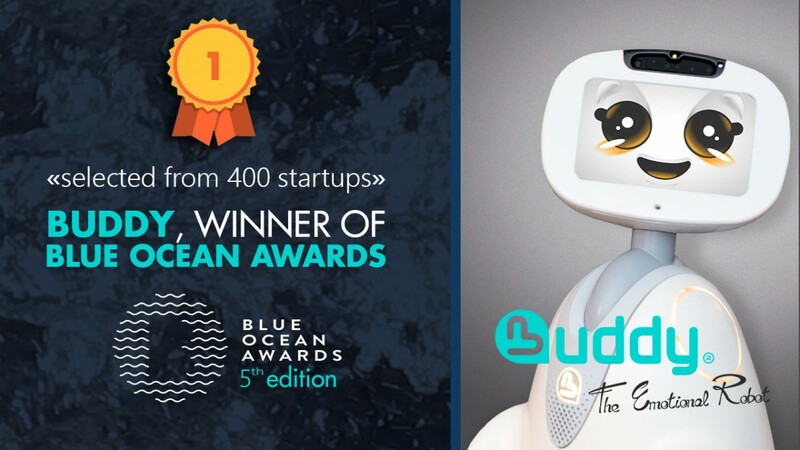 BUDDY, the emotional robot, announced today that it has won a “Blue Ocean Award“, which rewards companies that create new markets with their innovative product or service. Co-organized since 2014 by HEC Paris and AXESSIO Innovation Strategy Practice and the Directorate General for Enterprises (DGE) of the Ministry of Economy and Finance, the Blue Ocean Awards reward and highlight the French companies that create new markets, in line with the “blue oceans” theorized by Renée Mauborgne and W. Chan Kim, researchers at INSEAD and authors of Blue Ocean Strategy. 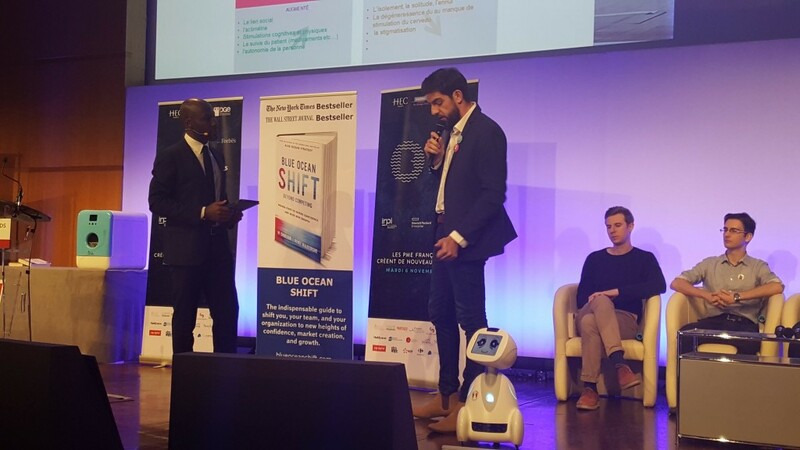 The winners were officially announced during the 5th edition of the Blue Ocean Awards, under the patronage of Bruno Le Maire, Minister of Economy and Finance, which took place on November 6th at the ministry. 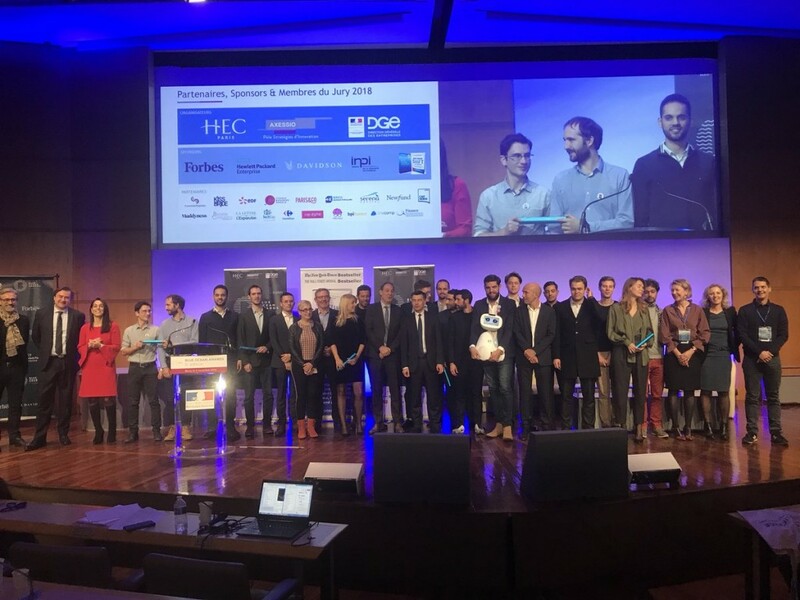 For the fifth year, the most innovative product and service offers have been rewarded by a jury of professionals, bringing together investors, global experts and entrepreneurs whose companies are very successful today in their sector. 19 finalists were selected from 400 nominations. The jury has decided. 9 of the 19 finalists were rewarded for their so-called “divergent” offer, that is, responding to the priority issues of non-customers in their industry, and were able to get out of the competition and create their own market, called “Blue Ocean”. 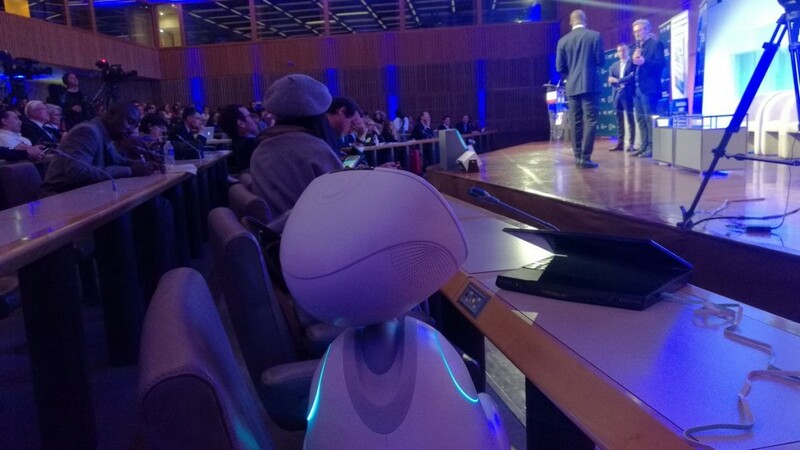 BUDDY, the emotional robot, was awarded in the BABY category, startup creating new markets. 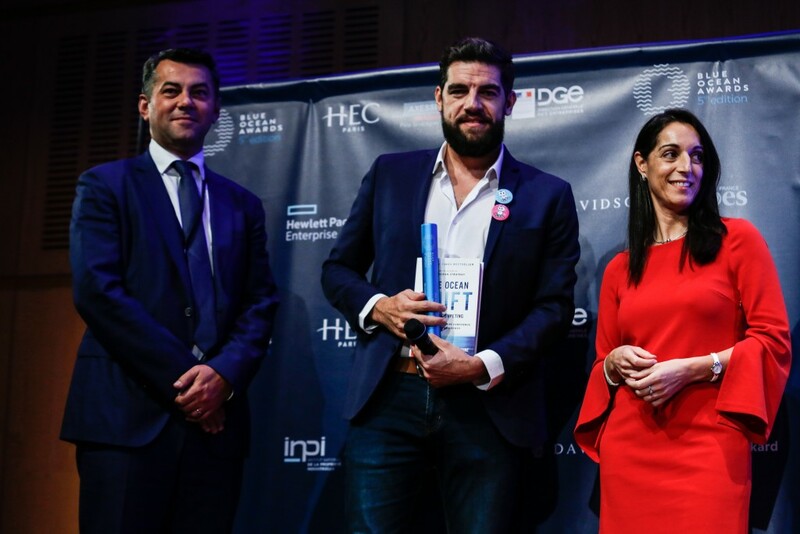 “We are proud that this prestigious competition recognizes our BUDDY robot as an innovative product to help elderly to stay at home safely, while strengthening the social bond” said Rodolphe Hasselvander, CEO and founder of BUDDY, the emotional robot. Anne ZERKOVITZ, General Secretary of Techsap West, who gave the prize to BUDDY, said at the ceremony: “They are rethinking the home care of seniors and dependent people”.